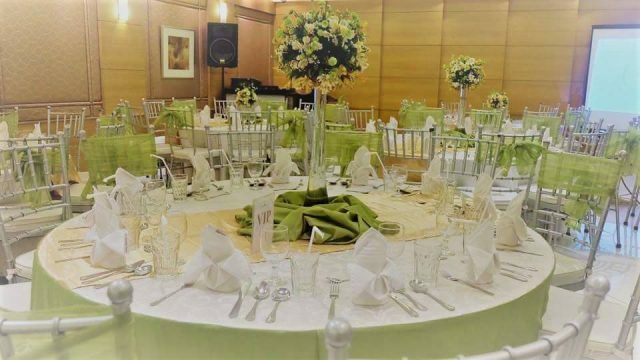 If you are looking for a wedding venue that’s going to give you your money’s worth without compromising the quality of service, turn to City Garden Suites in Ermita, Manila. For years, it has been known as the perfect wedding venue for the practical bride. Among of the things City Garden Suites is known for are its affordable wedding packages. These are worth every penny, since they have amazing inclusions. Apart from free use of venue, tiffany chairs, basic styling, and other standard amenities, couples may enjoy other freebies as well. These include sparkling wine for the toast, free use of chocolate fountain, pair of doves in decorated cage, plus more. What’s even greater is the fact that these wedding packages are versatile. They can be customized, depending on how many guests you are expecting during your big day. This is very practical, since you no longer have to worry about paying for more people than how many you are planning to invite. You may choose from packages that are good for either 50, 100, or 150 people and then just pay additional charges for every extra person. Are you picky when it comes to food? No problem! City Garden Suites also offers a wide array of menu, so you will never run out of choices here. This means that you can also accommodate special requests of certain loved ones who may have specific preferences and food restrictions. To learn more about the wedding packages offered by City Garden Suites, visit its Kasal.com profile now.